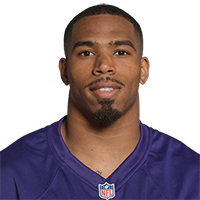 Clark will fill in as the starting safety in Week 13 against the Falcons, Jamison Hensley of ESPN.com reports. Analysis: Tony Jefferson (ankle) would have been the starter Sunday, but he was unable to log a practice all week and has been ruled out. Clark logged four tackles (three solo) over a season-high 27 defensive snaps against the Raiders in Week 12. Clark will start against the Falcons on Sunday if Tony Jefferson (ankle) is unable to suit up, Jeff Zrebiec of The Athletic reports. Analysis: Clark's opportunity comes with starter Tony Jefferson nursing an ankle injury of undisclosed severity. The 23-year-old played 27 offensive snaps in place of Jefferson during Sunday's win over the Raiders, recording four tackles (three solo) during that time. If Clark is indeed thrust into the starting lineup in Week 13, he'll work to contain Matt Ryan and the Falcons. Clark (concussion) does not have a concussion and has returned to Sunday's game against the Browns. 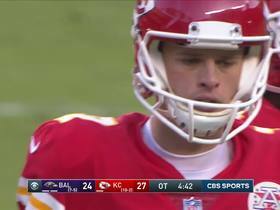 Analysis: Clark exited in first first half to be evaluated for a concussion but never entered the concussion protocol. The 22-year-old should continue to be a contributor on special teams. Clark has exited Sunday's game to be evaluated for a concussion, Nate Ulrich of the Akron Beacon Journal reports. Analysis: Clark would enter the league's concussion protocol if he illustrates concussion-like symptoms. 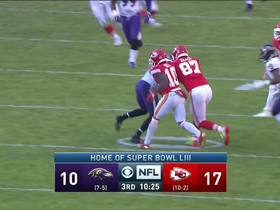 The 22-year-old primarily has been a special teams contributor for the Ravens, and the defense is unlikely to be unaffected if he cannot return. Clark (thigh) is active for Sunday's contest against Green Bay. Analysis: Clark was a full participant in practice all week and is expected to suit up. He hasn't had a role on defense, playing only special teams, and he isn't likely to see a change this week. Clark (thigh) was a full practice participant Wednesday, and barring any setbacks, he'll be available for Sunday's game against the Packers. Analysis: Clark has been deployed almost exclusively in special teams situations, and unless there's injuries ahead of him on the depth chart, the rest of the season will follow suit. Clark (thigh) was ruled out of Sunday's game against the Titans. 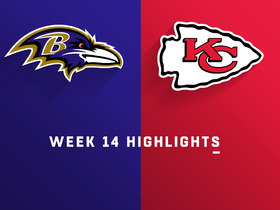 Analysis: Clark hasn't accrued more than three defensive snaps in any game this season, so his absence isn't a huge loss for the Ravens' secondary. He will leave behind a void on special teams, however. 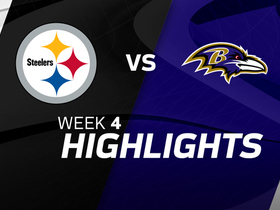 Check out highlights of the Pittsburgh Steelers versus the Baltimore Ravens. 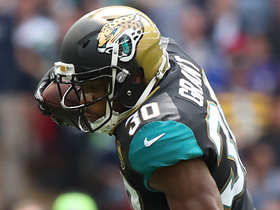 Jacksonville Jaguars fake a punt, which leads to running back Corey Grant going for 50 yards vs. the Baltimore Ravens in Week 3 of the 2017 NFL season.